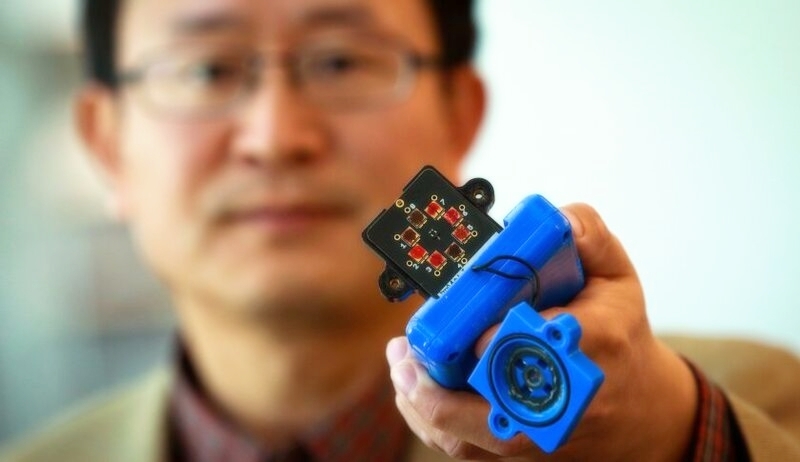 Nanofiber chemical sensors can be considered a platform technology with virtually unlimited chemical sensing applications. Vaporsens defines co-development as collaborating with industry partners interested in jointly developing this technology to solve their real-world problems, create products and expand applications. We believe that co-development opportunities will accelerate the use and adoption of nanofiber chemical sensor technology, while broadening market opportunities for our partners. Please contact us to find out more about engaging with Vaporsens in co-development. Co-development allows companies to mutually leverage their unique resources, such as patents, expertise, technology or finances to access and accelerate new market opportunities. By partnering with Vaporsens in a co-development project, companies have the opportunity to integrate the next generation of chemical sensors into their new products, expanding their reach to new markets and applications. Vaporsens technology has the unique ability to be customized to detect a wide range of chemical targets. This versatility, in addition to being highly sensitive, portable and durable, makes Vaporsens's technology ideal for expanding market opportunities, as well as providing niche chemical detection solutions. Interested companies should contact Vaporsens directly to discuss their application(s) and interest in a potential co-development project. A mutual non-disclosure agreement (NDA) is typically executed upfront in order to protect the proprietary information and know-how of each party. The next step is to outline a co-development project together that describes the tasks and milestones to be accomplished. It is typical to structure a project with a proof-of-concept phase followed by a second detailed work plan phase. Financial support and a performance schedule are mutually agreed upon before the start of a co-development project. Technology sharing and sublicensing are also determined as part of the co-development project planning. Please contact us if you have an interest in a co-development project with Vaporsens.